Lepakshi is a small village in the Anantapur District of Andhra Pradesh. Lepakshi is historically and archaeologically significant, with three shrines dedicated to Shiva, Vishnu and Veerabhadra, which were built during the Vijayanagara Kings’ period (1336–1646). The etymology of the name, Lepakshi, is not very certain. One legend according to the Ramayana suggests, that when Rama accompanied by Hanuman, met the dying Jatayu, they helped him attain moksha by uttering the words “Le Pakshi,” which is Telugu for “Rise, bird”. Hence the name, Lepakshi. 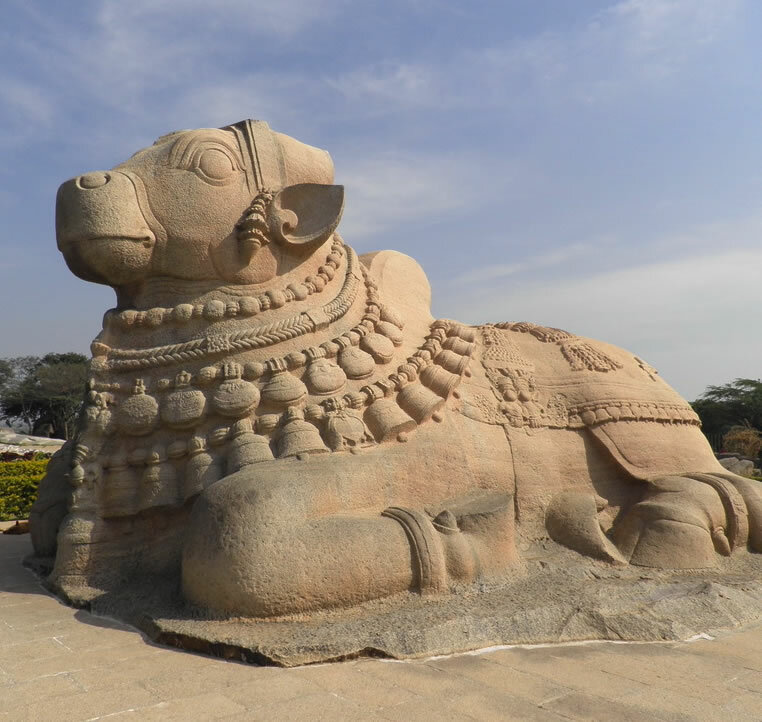 One of the main attractions in Lepakshi is a huge Nandi bull made of a single granite stone. It is 4.5m high and 8.23m long. The big granite bull is on the main road, about 200 meters from the temple. It has been positioned such that it faces the shivalinga shielded by a huge serpent inside the temple. It is the second largest monolith in India, after Gomateshwara. The Lepakshi village is renowned for having one of the best collections of mural paintings from the Vijayanagar Kings period. On the walls of the Veerabhadra temple there are impressive paintings that show scenes from the big epics like the Mahabharatha and the Ramayana and also from the puranas. The Veerabhadra temple is also a notable example of the Vijayanagar architectural style. 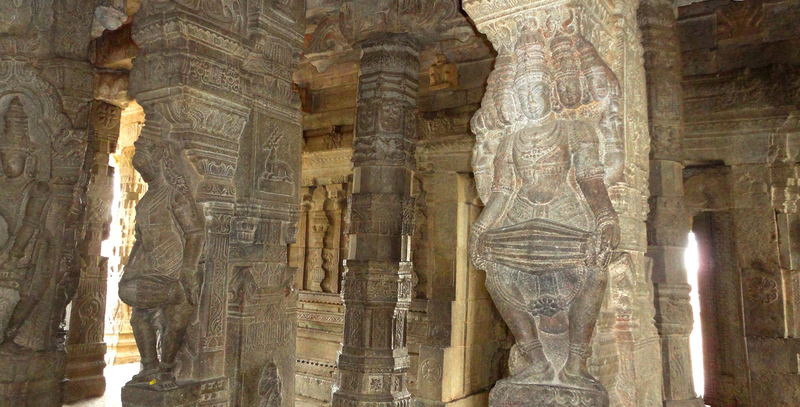 It is renowned for its beautiful sculptures, which were created by the artisans of the Vijayanagara empire. Many Kannada inscriptions dating back centuries can be seen on various walls on the whole temple complex. 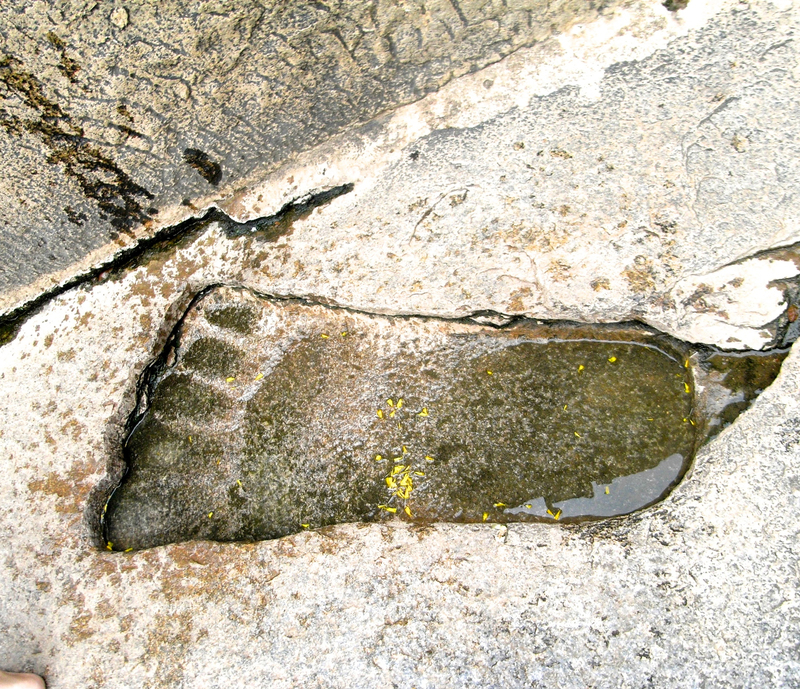 The big footprint seen on the site, that is most of the time filled with a little water, is supposedly from Sita – the wife of Rama in the hindu epic Ramayana – while she was kidnapped from Ravana to Lanka.